Last week’s other top-gaining mining stocks on the TSXV were Minsud Resources, Honey Badger Exploration, K92 Mining and Karmin Exploration. Last Friday (April 13), the S&P/TSX Venture Composite Index (INDEXTSI:JX) closed at 795.94, up 13.57 points. Canada’s main indexes closed the week fairly balanced, with declines in financial stocks balancing out increases in mining and energy companies. In the US, financial stocks dropped as earnings from large banks failed to impress investors. Here’s a look at what moved the share prices of those companies during the period. Minsud Resources is advancing its Argentina-based Chita Valley copper–moly–silver-gold project. It is moving the Chita South deposit toward the preliminary economic assessment and prefeasibility stages, and is testing prospective targets at the property as well. The firm did not release any news last week, but its share price leaped 121.05 percent to end at $0.21. 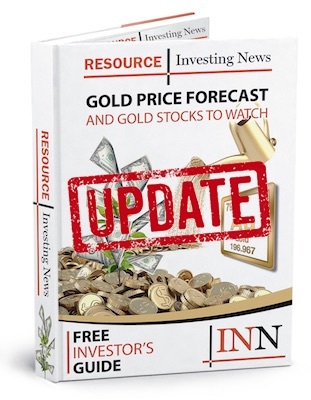 Prospect generator Evrim Resources announced initial exploration results from a Phase 2 program at its Cuale high-sulfidation epithermal gold project in Mexico last week. According to the company, trench highlights from the La Gloria zone include 193.5 meters grading 2.09 g/t gold. Evrim’s share price soared 89.69 percent on the results to close the week at $0.92. Ontario- and Quebec-focused Honey Badger Exploration saw its share price rise 47.37 percent last week to hit $0.14. During the period, the company staked additional ground at its Thunder Bay polymetallic silver camp. In total, it staked an additional 1,077 claims covering more than 23,400 hectares. K92 Mining is currently mining gold at the Kora deposit, located at its Kainantu gold project in Papua New Guinea. It declared commercial production at the asset on February 1. Last week, the company’s share price jumped 37.29 percent to close at $0.81 after it released its Q1 production results. In total, K92 produced 9,324 ounces of gold, 165,976 pounds of copper and 2,752 ounces of silver during the period. Karmin Exploration is a gold- and zinc-focused exploration company with assets in Brazil and Peru. Its share price increased 32.53 percent last week to close at $1.10, but it did not put out any news that would explain that gain. Data for 5 Top TSX Stocks articles is retrieved each Friday at 10:30 a.m. PST using The Globe and Mail’s market data filter. Only companies with a market capitalization greater than $50 million prior to the week’s gains are included. Companies within the mining and precious metals sectors are considered.